New person identified and will be installed in the post as of 15 June. Immediate past chairman of the Public Service Commission (PSC) has said that his decision to demit office is a professional decision and not based on contention with any official in the ruling administration or his intention to pursue another public office position. ‘I have had no disagreements, it’s a professional decision,” said Derrick Sylvester who was appointed to the post in November 2014 for 3 years in the first instance. Sylvester who is a lawyer by profession said that since January 2018 he began discussions with Prime Minister Dr Keith Mitchell of his intention to demit office, but it was only in early May he submitted the resignation but held on to the post until another person was identified. 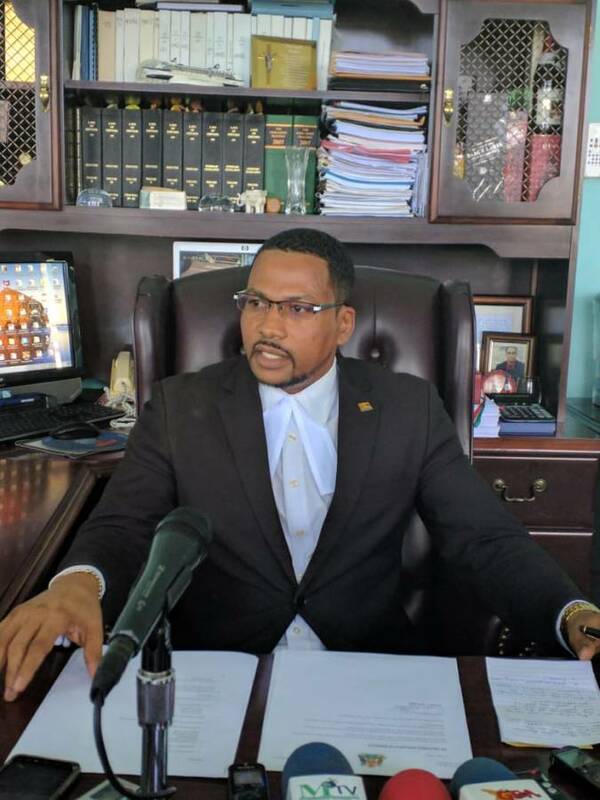 “Today was my last day as chairman,” said Sylvester who explained that his decision to hold a news conference about his decision to demit office was as result of the various articles which appeared in the local newspapers with incorrect information. “No one had spoken to me, and I did not speak to no one,” he told the media, explaining that he had sought permission from the Commission members to share information with the media. Sylvester said that the Governor-General had written to him confirming that another person was identified and will be installed in the post as of 15 June. He also disclosed that he spent 5 years with the Commission and felt that was enough because he had only considered serving for one term. ‘So, my move to demit has nothing to do with strategy. I am returning to practice my profession as a lawyer, and it must be noted that based on the public service rules I will be unable to accept any public service position for the next 3 years,” he said.